ICeWater will increase the stability of freshwater supply to citizens in urban areas by adjusting the water supply to the actual consumption, while minimizing energy consumption through smart-grid integration and water spillage through leak detection. ICeWater uses wireless sensor networks for water flow monitoring and it provides a decision support system for the water utilities so that supply and demand patterns can be matched in real-time. As an additional benefit, leakage can be predicted with statistical methods so that water network damages can be mended even before they occur (fix-before-break). ICeWater uses wireless sensors of various types to provide real-time monitoring of water supply and demand. 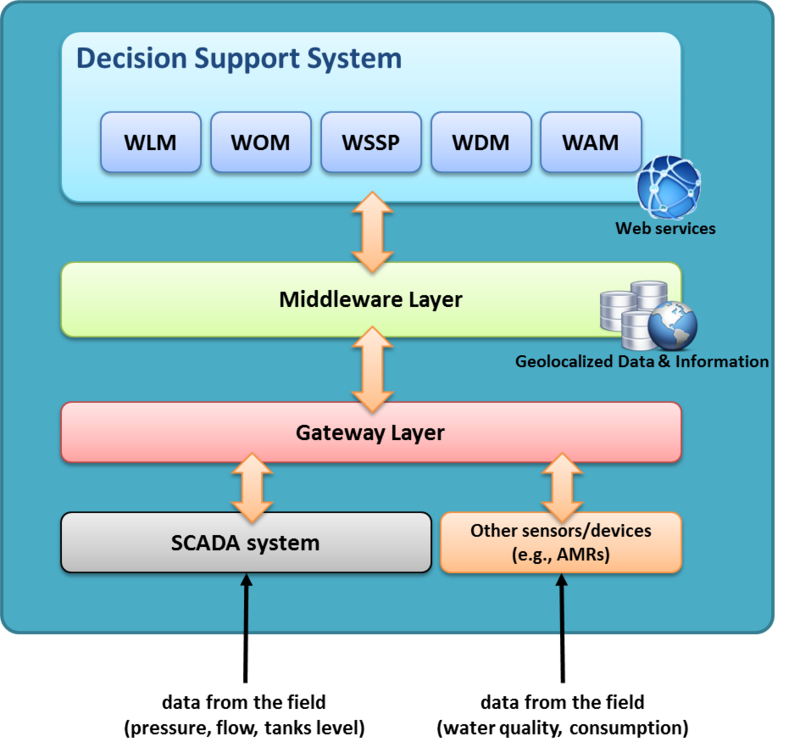 Based on the sensor data, decision support systems facilitate optimization of the water grid network operation (pumping schedules, pressure etc.). The demand management and consumption information is accessible online to the relevant actors in the water supply chain (including consumers) and allows dynamic pricing schemes with nudge-pricing to motivate behavioural change in customers causing critical consumption patterns. Services for asset management, such as predicting deterioration, leakage detection and leakage localization functionalities, will reduce water waste. New networking concepts (protocols, management of virtualized network resources) are required for better information flow, network resources management and sharing in a service oriented architecture (SOA). The information gathered with these services allows a better understanding of the consumers and to improve the effectiveness of the water resource management together with new metering and pricing schemes.